Farshid Etniko’s Latin jazz and world music influence brings their audience a new experience in listening and dancing pleasure. 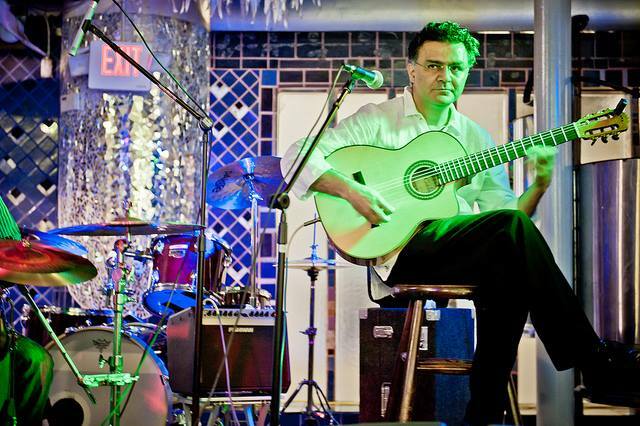 Performing original music written by Farshid, jazz standards, and songs with a Latin flavor and Persian touch, the music continues to intrigue and entertain audiences. Farshid Etniko has had the opportunity to open up for several international artists, such as Angelique Kidjo, Cassandra Wilson and Greg Adams. They can also often be found playing at St. Louis’ best festivals, including Fair St. Louis, Laumiere Sculpture Park Art Fair, Clayton Art Fair and First Night (Sheldon Concert Hall).